The Supreme Court's opinion in Reliable Fire Equipment was not much of a surprise. It seemed fairly clear the Court would establish that Sunbelt Rentals v. Ehlers was wrongly decided and that an employer needed to establish a legitimate business interest to support a reasonably drafted non-compete agreement. The Court did just that, holding that the traditional three-part reasonableness framework holds and that courts must consider the totality of the circumstances in assessing whether the restraint is no greater than necessary for the employer's protection. Though the decision left much to be decided and provided no real direction for future cases, a couple of principles were clarified. First, the Court reaffirmed the long-held principle that total and general restraints of trade are void as against public policy. Therefore, an employer still must ensure that its non-compete agreements contain sensible limits in terms of activity, time, and territory. A complete ban on working in an industry will undoubtedly fall within Reliable Fire's purview of illegal "general" restraints. 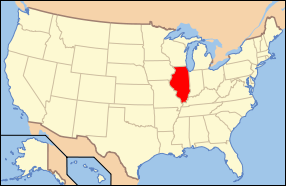 Second, prior precedent in Illinois discussing legitimate business interests remain good law. Accordingly, employers may still rely on cases discussing the protectable interests of confidential information or customer relationships to demonstrate that a covenant is reasonable. They won't, however, be constrained by a rigid, formulaic test. Many cases, though, finding no protectable interest in ordinary customer relationships probably are of limited value. Third, the Court stated that the three-part reasonableness test is "unstructured." In reality, this means trial courts will end up considering the following: (a) the language of the covenant; (b) its impact on the employee's livelihood; (c) whether non-parties or the public are harmed (this usually will involve a highly specialized service); and (d) whether the stated interest bears a nexus to the restrictions. Employers will have some room to be creative in establishing a legitimate business interest. Such interests could include: (a) special training; (b) extraordinary or unique services (as in the case of a well-known CEO); (c) ability to influence critical vendor or supply chain relationships; or (d) disintermediation. In truth, employers have always asserted these interests, usually trying to bootstrap them into the categorical test, which is now just a guidepost rather than a dispositive inquiry. An article on the decision in Crain's can be found here. Interestingly, last week the Supreme Court of Montana, in Wrigg v. Junkermier, Clark, Campanella, Stevens, P.C., addressed a very similar issue as that presented in Reliable Fire Equipment and held that an employer must "establish a legitimate business interest as a threshold step to [a court's] analysis of the reasonableness of the covenant." In that case, the Court held that an employer could not establish a protectable interest when the employee was involuntarily terminated. 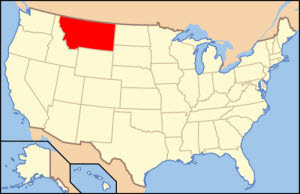 Prior decisions (of which there are few in Montana) did not come right out and discuss the protectable interest requirement, an issue similar to that in Illinois which led to the appellate district split. I am not aware of any states which do not require courts to look at the protectable interest asserted.